In academia, manuscripts serve as an important component of career development. The past several years have seen heightened evaluation of the role of the gender gap in career advancement, as well as other bibliometric changes in publications. 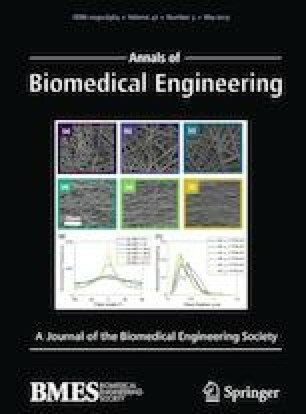 We therefore analyzed authorship and publication trends in the Annals of Biomedical Engineering over the past three decades (one complete year of manuscripts for each decade; 1986, 1996, 2006, and 2016). The variables analyzed were number of authors per manuscript, numerical position of the corresponding author, number of collaborating institutions and countries, number of references, and number of citations per manuscript. The gender of both the first and corresponding authors was identified and analyzed over time and by region. Globally, the percentage of female first and corresponding authors significantly increased from 0% in 1986 to 28.6% (p = 0.003) and 20.4% (p = 0.0009), respectively, in 2016. Although there were significant differences regarding female first and corresponding author over time, they did not vary by region of origin (p = 0.5 and 0.2, respectively). Overall, these findings highlight the improvements made and the challenges that still exist related to publishing within the bioengineering field. The online version of this article ( https://doi.org/10.1007/s10439-019-02222-3) contains supplementary material, which is available to authorized users. This work was supported by the Department of Orthopaedic Surgery, Indiana University School of Medicine (MAK, RTL), NIH T32AR065971 (INA), the Garceau Professorship Endowment and Rapp Pediatric Orthopaedic Research Fund, Riley Children’s Foundation (RTL), and the Ruth Lilly Medical Library (ECW). This work was also supported by the Ralph W. and Grace M. Showalter Research Trust (MAK).